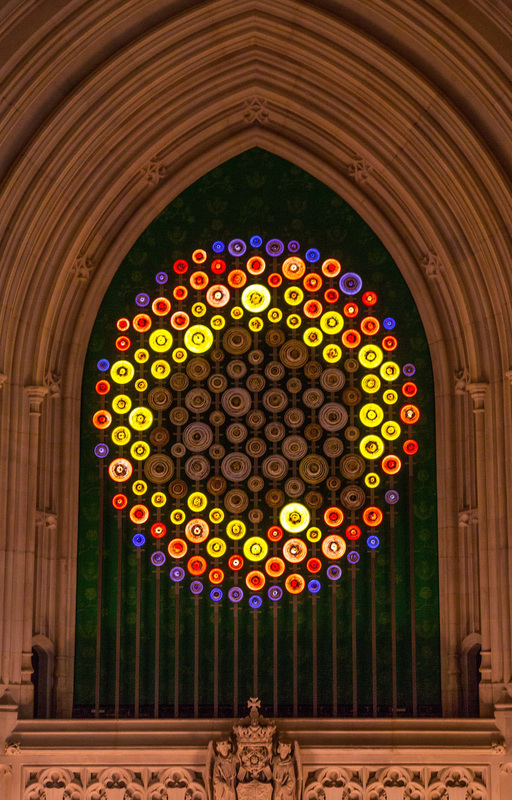 Ladders of Light… A new constitution for the UK. February 5th - April 3rd, 2019 Salisbury Cathedral. An exciting new work from two artists, the award-winning poet and broadcaster Lemn Sissay MBE and fine artist Mary Branson. 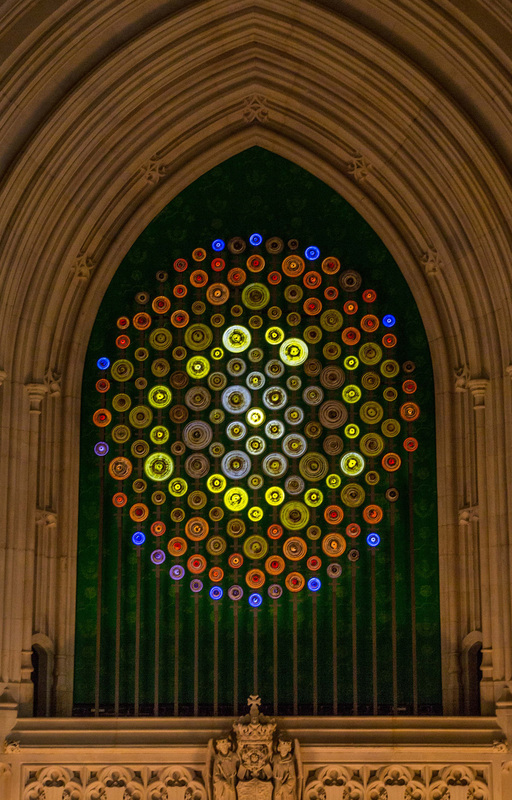 The installation in Salisbury Cathedral explores the possibility of a ‘new charter' for the UK when we leave Europe. Put into care as a child, Sissay's poetic constitution reflects on our duty to the most vulnerable in society, particularly children, while Branson’s ethereal, illuminated ladders are a metaphor for a socially mobile pathway to a more just and equal society. 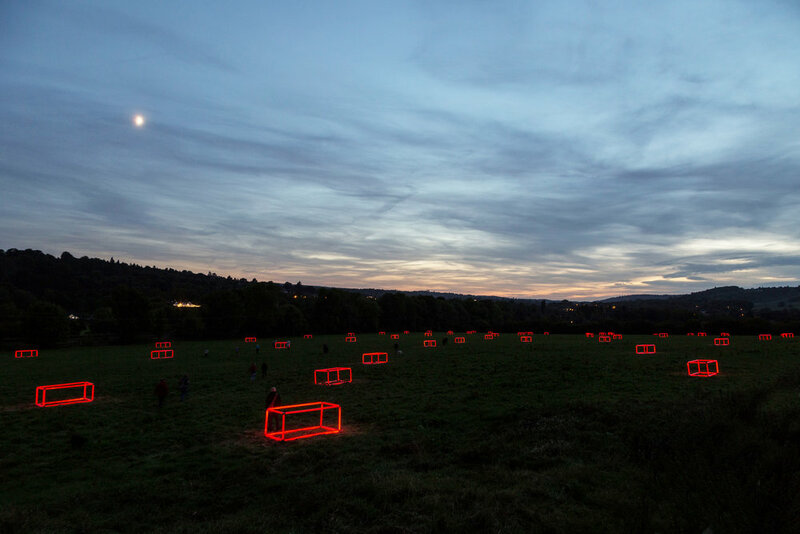 The installation encourages the observer to look up towards a higher plane, to cross divides and overcome barriers. A powerful blend of poetry and visual art, the work both mirrors the grandeur and aspiration inherent in the Cathedral's Gothic architecture and conveys the fragility of our community. 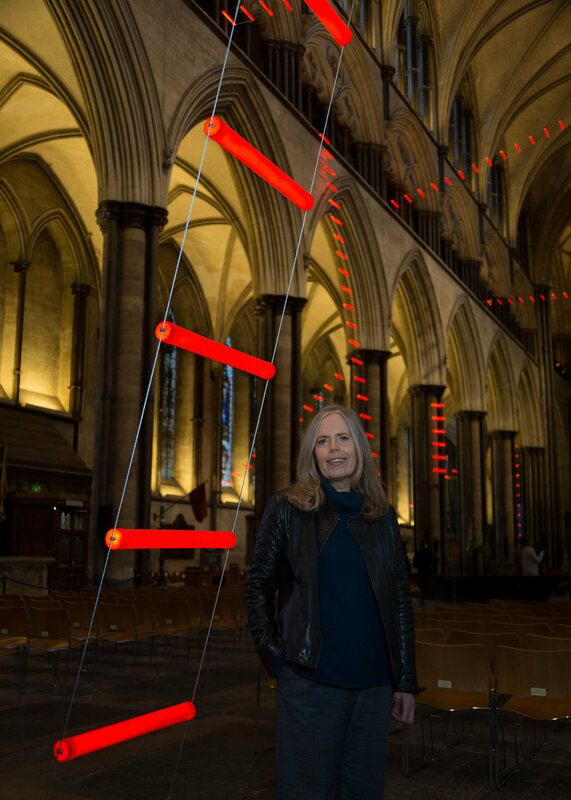 Ladders of Light is a Storyvault commission for Sky Arts 50 and is curated by Jacquiline Creswell, Salisbury Cathedral’s Visual Arts adviser. 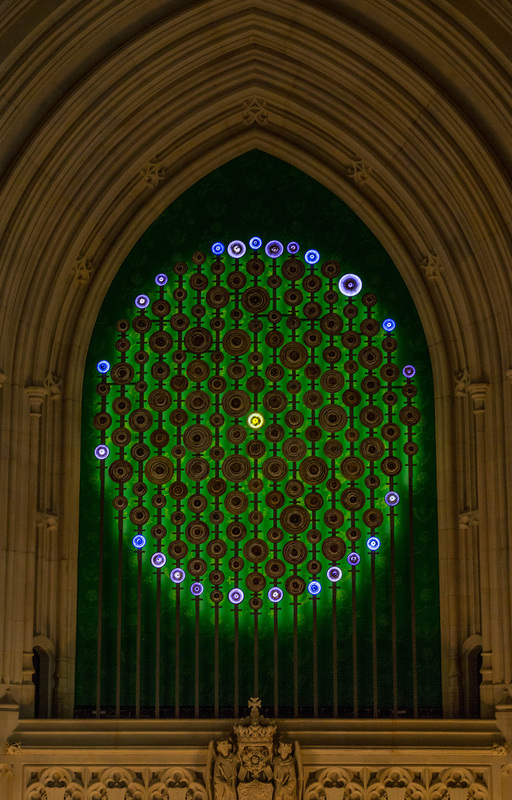 ‘As I write about my future installation Ladders of Light (All the families of the earth be blessed) the British government are about to decide on how to leave the European Union. As a child of the 70’s, I have enjoyed the benefits of growing up and working in an environment where I felt a close connection to our European neighbours. I wanted my son to have the same experience. I worry for his future and the younger generations, facing a very different setup in which they have had no voice. 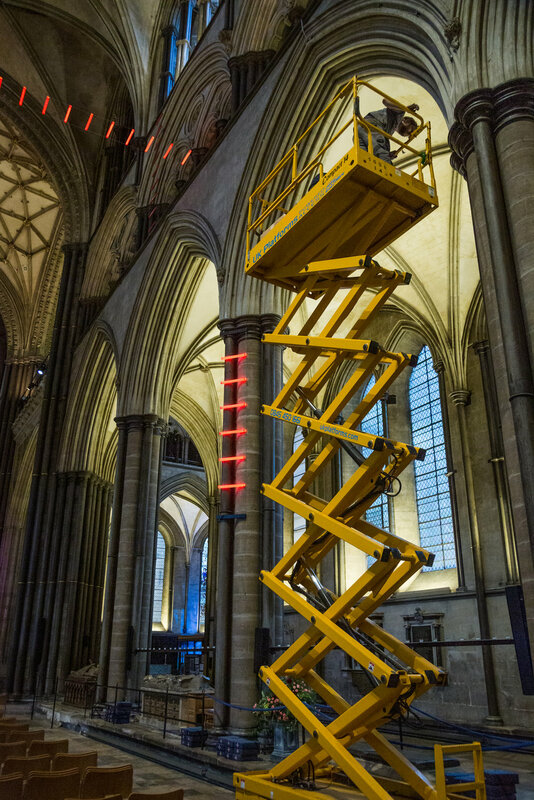 Ladders of Light responds to the huge elevations of Salisbury Cathedral, inviting the viewer to raise their eyes upwards within the sacred space, the giant columns like tree trunks piercing the mists that loom over the land. Seeing the ladders in the context of the Christian building one sees the parallels in Genesis’s Jacobs’ ladder. The stone pillow on which he rests his head are the hewn Chilmark stones which anchor the work to its foundations. The rungs linking man to heaven (perhaps a better place than we in are now) and the command from God in creating his church: “All the families of the Earth be Blessed”- a message of equality across all nations. Mat Clark, Colin Musson, Edd Jordan, Emma Brown, Jane Fairbanks, Sara Scott, Peter Smith, Mary Hainline, Paul Clark, Katy Hunter-Choat, Mags Hardwick, Barbara Hester, Jill & Peter Gulabov, Rosemarie Juliano, Cate Davey, Ben Clark, Pippa Vaughan, Jim Leonard, Julie Hoyle, Josie Davis and David Rayment at Sinclair and Rush. Special thanks: Jaquiline Creswell, Gary Price, Russell Cruse, Ricardo da Fonseca and all the team at Salisbury Cathedral. Mary Branson and Emma Brown 2018. During the winter months, I’d stand at the windows and stare out at the views, my thoughts far away in the landscape, only returning because of the sound of life from within the building. Volunteers preparing the house for open season. Laughter coming up from the kitchen where gardeners and the DIY team gather by the Aga to keep warm, drinking tea and sharing freshly baked cakes. Managers ushering interested parties about the rooms, their voices echoing around the empty spaces. For me the key to understanding this house is in the people who bring it to life. Over the past four months I have watched the continual transformation of the building through the enthusiasm and dedication of a core group of people who love Leith Hill Place. Now open to the public, the volunteers and managers spend their days welcoming visitors, telling the story of the building and allowing people to wander freely - to experience the space as a home. Due to their approach, they have created a unique experience for visitors, turning it into a ‘House of Life’. This installation is a snapshot of some of the team. I wanted to record their mark on the history of the building as its future develops over the next three years. 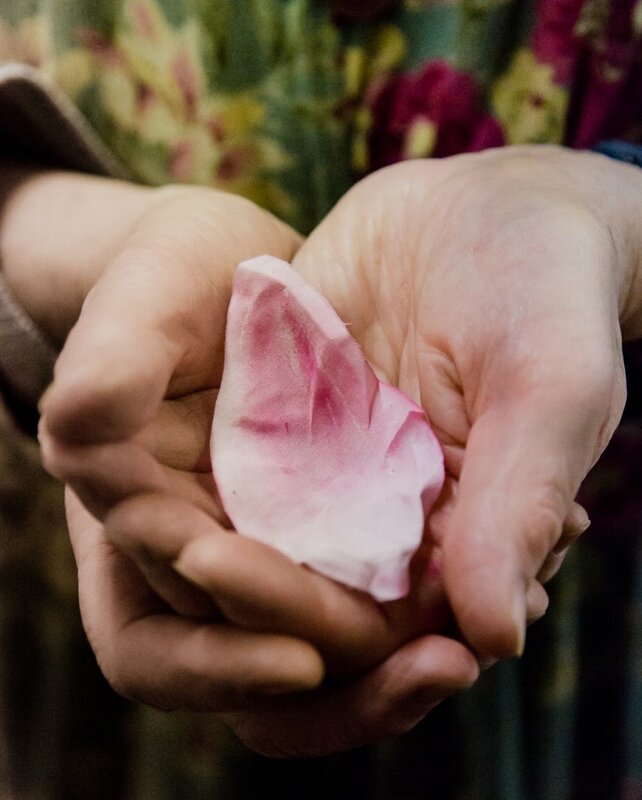 Collaborating with award winning photographer Emma Brown, we spent two weeks in early May 2018 capturing the people of Leith Hill Place and their favourite spaces in the house. We used informal recorded interviews and Wet Plate Collodion photography - a 19th century photographic technique. Reflecting on the fragile nature of the present building and the relative rapid changes it is undergoing, I decided to create an exhibition that through its materials expresses a flux. I have combined the tintype photographs with the voices produced and played through an old 78 rpm gramophone. Both these technologies have a vulnerability and impermanence. When exhibited over the next month, they may start to capture a sense of loss from the original documentation – the photographs fading in the daylight, and the voices disappearing into crackle and static.